I have a Godaddy account for already 4 years or so and with time I tend to login and use Godaddy to set DNS records or buy a new domain way more often if compared to the old days. This costs me a lot of time, so finally in a quick chat with a friend today, he mentioned about having the same issue and explained he just recently changed his (Customer Number) numeric Username to a easy to remember login text string. Fill in properly all the input (red start) fields seen on the screenshot and click Save Changes . Once you see a message settings are Saved. It is generally a good idea to open some different kind of browser and try logging in with the new set username and password. 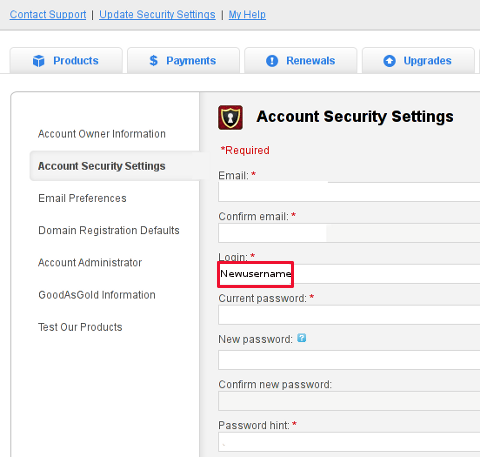 Update Security Settings is also the place for people who would like to change Godaddy account password. Be 100% sure to check the new username/password pair in another browser (without logging out with the one you just use) or you will end up unable to login to your godaddy account !!! Its also a good idea in any case to, have written down somewhere on paper Godaddy's Call-in-PIN, this is just a precaution to assure yourself that you will be able to restore your account username/password in case if lost. If you haven't used the Call In PIN, I hope you will never need to. Anyways just as a matter of info this PIN can help you in some cases where you have to identify yourself as the owner of your Godaddy account (Something like the Debit / Credit cards CVV code [positioned on the card back] ). 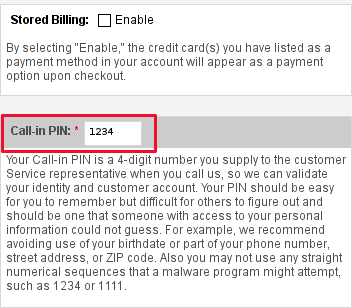 I've only used the Call in PIN in few occasions by Godaddy's tech support, where I contacted them directly by email to ask some specific questions on how to do stuff inside my account. I know this article, will be boring for some of my readers, so if this is the case please accept my humble apologies … anyways it will help me orient myself in the future if I forgot how I did it and hopefully will be useful to someone else. There are two handy Windows commands which can be used to renew IP address or flush prior cached DNS records which often create problems with resolving hosts. In above cmd ipconfig /release will de-assign the IP address configured on all Windows LAN and Wireless interfaces, whether ipconfig /renew will send request for IP address to the DNS server. Windows has a Route command similar by syntax to Linux’s route command. The second one adds 192.168.41.254 as a default gateway for all outbound traffic from the Windows host. To make permanent routing -p switch is used. usually the local hostname is configured while the system is being installed, therefore many times when we forget to tell the Dedicated provider what kind of hostname, we’re intending to use they came up with some kind of hostname which is randomly set based on the dedicated provider’s company name or a server ID number. Cosenquently the machine hostname assigned due to company local server numbering policy. This hostname naming, often doesn’t make much sense for the services running on the server and doesn’t have nothing to do to the provided internet services by the server, however its really important for me to orientate myself which server I have logged to. Therefore one of the first things I do while configuring a new server is to change the local server assigned hostname . To see the hostname change in your shell prompt you will have to logout and login again to the system. Here its good to mention the Linux kernel has a variable kernel.hostname, which can be used to set the local machine hostname. Actually the hostname command automatically set the kernel.hostname kernel variable. Debian has a file /etc/hostname , which is there just for the sake of configuring the system hostname. During system boot process Debian reads /etc/hostname file and sets the machine hostname to the word inside. The /etc/hostname file is being red and configured by Debian’s /etc/init.d/hostname.sh shell script. Just like with other GNU / Linux distributions for the new hostname to be active on the current shell a logout and login via ssh is necessery again. a. change the /etc/hosts way described above in the aticle. b. Edit /etc/sysconfig/network file and write inside the new custom hostname. [root@centos ~]# /etc/init.d/network restart One more thing to consider always when changing a hostname is that some of the system services are using the configured local machine hostname, and hence need to be restarted also from a active shell where the new hostname is already set and active. On next boot the hostname should be set to whatever you put as a custom hostname. Since some time, I don’t know exactly where, after some updates of my WordPress running on a small server with FreeBSD 7.2. I’ve started getting a lot of Apache crashes. Often the wordpress scripts stopped working completely and I got only empty pages when trying to process the wordpress blog in a browser. After a bunch of reading online, I’ve figured out that the cause might be PHP APC stands for Alternative PHP Cache . I was not sure if the PHP running on the server had an APC configured at all so I used a phpinfo(); script to figure out if I had it loaded. I saw the APC among the loaded to show off in the list of loaded php modules, so this further led me to the idea the APC could be really causing the unexpected troubles. Similarly on GNU/Linux to disable globally APC from PHP only the correct location to php.ini should be provided on Debian this is /etc/php5/apache2/php.ini .